Looking for a Condo Along The Beach? We can help you find your perfect home in a Condo Along The Beach in Clearwater Beach, North Redington Beach, Indian Rocks Beach, Treasure Island, Madeira Beach, St Pete Beach and more! Labor Day weekend in St. Petersburg, FL! Are you looking for something to do on this Labor Day weekend in St. Petersburg, FL? 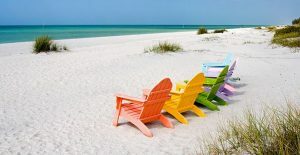 Check out some of the best attractions in the St. Petersburg/Clearwater area on the “Visit St. Pete Clearwater” website . You’ll find links to things like The Dali Museum and Chihuly Collection that we’ve mentioned previously. You’ll also find links to other local favorites such as Sunken Gardens, Florida Botanical Gardens and of course the Clearwater Marine Aquarium. Whether you are here to scope out your perfect home (we can help – MCN Group), maybe you are just visiting or you live here and are looking for an adventure, take advantage of all our area has to offer! Enjoy Labor Day Weekend in St. Petersburg, FL! Find your perfect home in Pinellas County Florida! At MCN Group, Inc. our professional staff is ready to assist you with all of your West Florida Real Estate needs, we will help you find your perfect home in Pinellas County Florida! MCN Group, Inc. will help with your Real Estate Needs! Take advantage of the unique Custom Search Service we offer for our registered buyers. You tell us what you are looking for and we do the research and provide you with photos and details on all of the available matching properties. We continue the search every day and inform you as new properties become available. Once you have reviewed this information we will show the properties you are most interested in seeing. We will use our experience in finance, contracts and negotiating to your best advantage. We work closely with you and all of the parties involved to insure your real estate transaction moves quickly and easily. We’ve been providing professional real estate services in Pinellas County since 1985. Our office is conveniently located near downtown St. Petersburg. We are qualified in guiding you with buying or selling. Our goal is to find the property you want at the price you can afford or help you sell your property at the price you want. Whether you are living along the Beaches or further inland in Pinellas County Florida you have the sun, sand and fabulous weather. Anywhere in Pinellas County you are just minutes from the breathtaking beaches! Come and join us in living in Paradise!